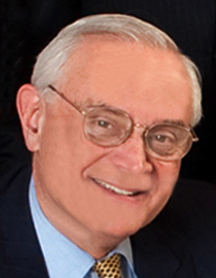 Richard Glazer has been President of the New York Cardiac Center Board of Governors since 1996. Much of his professional career has been in high-tech entrepreneurship. He spent several years as a Systems Engineer and Marketing Specialist with IBM and then joined others from that company and from MIT in the startup of National CSS (later purchased by Dun & Bradstreet), an early entrant in computer time sharing. He later founded and served as President of Dynamic Applications, Inc., a computer systems company with applications expertise in Medical and Real Estate Software. He also serves as a board member of the Michael Wolk Heart Foundation, the Orchard Project and as Chairman of the Alpine, NJ Zoning Board of Adjustment. He has a BA, BEE, MSOR, and CFM from NYU.